We took our scoots down to Oregon, and rode quite a bit. The seat covers have conformed to the seats and are very comfortable! 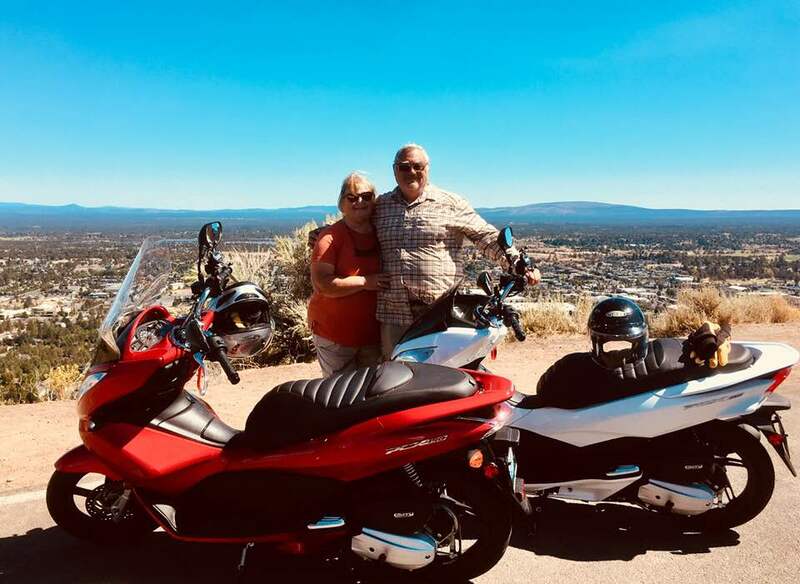 Here is a photo of us at the summit of Pilot Butte in Bend, OR! Patty especially loves her red stitching! All is good! 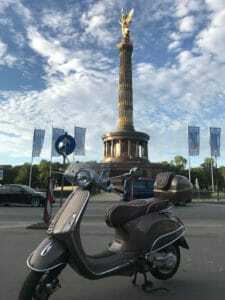 Great Job Fantastic work Perfect Service – hier meine Vespa Primavera mit deinen Cheeky Seats!